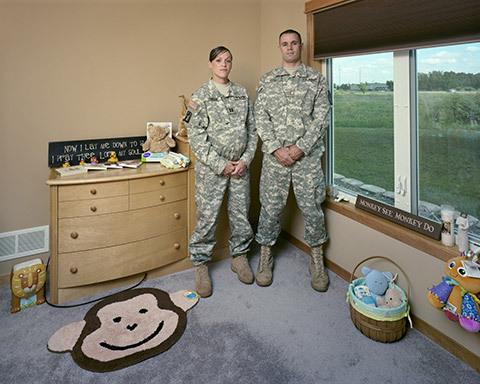 Minnesota-based photographer Dona Schwartz’s project On the Nest explores the transitional experience of awaiting a newborn. 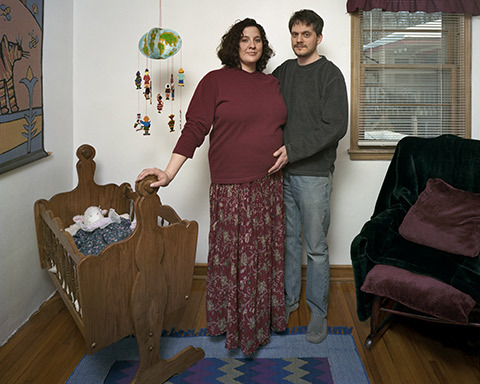 Recalling the months leading up to her son’s birth, Schwartz says, “I busily readied my nest. 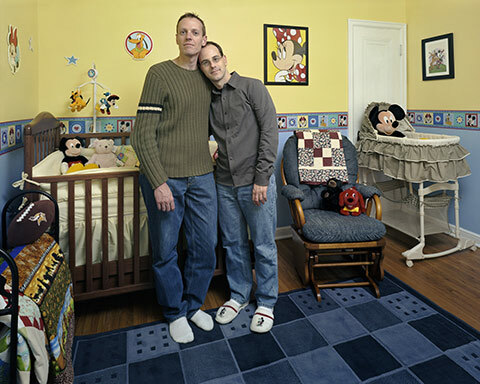 In that process, my ideals, my hopes, and my naive assumptions were invested in and revealed by the material objects I assembled for him.” With this in mind, Schwartz captures expecting couples and the spaces they have prepared for their soon-to-be little one. 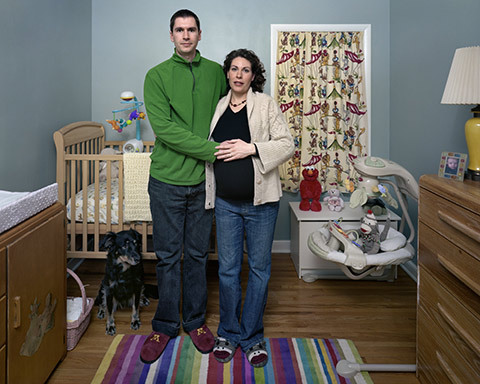 Shooting in the Minneapolis-St. Paul metropolitan area, Schwartz found her subjects through a number of ways—posting flyers in strategic locations, contacting social service organizations, and talking to doulas and childbirth educators. While Schwartz’s stand-ins examine her own relationship to motherhood, they also open up the conversation to include a universal experience. We recently sat down with Schwartz for further exploration. What similarities did you find amongst your subjects for this project? Did that translate visually? “I think many similarities are visible in the images. Some are more obvious and quickly discoverable, but there are also more subtle similarities that reward the careful, attentive viewer. 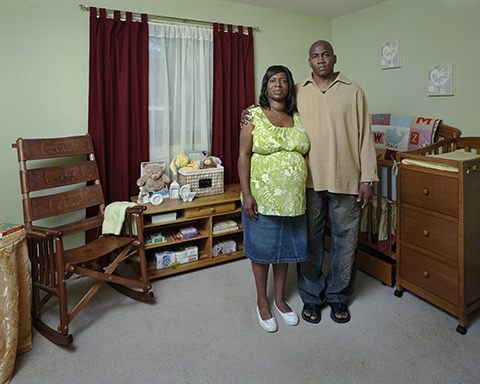 The pictures of expecting parents suggest there’s a cultural inventory—a list of equipment and supplies—that must be acquired and set in place before the baby arrives. Did you learn anything further about yourself in the making of this project or was it cathartic to just be in the presence of others who had gone through the same thing as you? 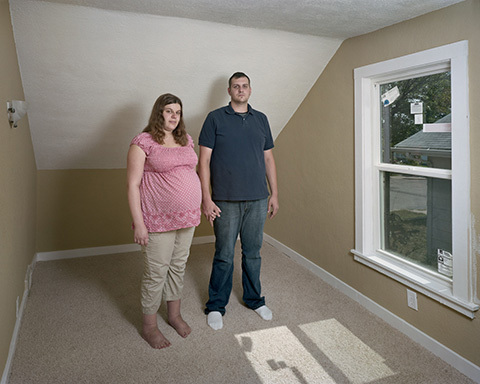 “Through the project I revisited the notion that there are fundamental aspects of being human that bind us together. Giving birth, nurturing a child, and launching a young adult give us common cause. On the Nest allowed me to focus on the hopefulness, goodness and selfless love that we, as human beings, can summon forth. This post was contributed by photographer Sahara Borja.